Explore volleyball drills for beginners to learn basic skills. Find volleyball team drills to improve your performance in the matches. Beginning volleyball players learn movement techniques by learning shuffling and the basic stance. In the pictures: blocking movement drills, shuffling and basic footwork drills. Volleyball basic stance on the right. Basic Skills Training in Volleyball Drills - Passing, Setting, Serving, etc. Work on passing and setting skills first with the beginners. Those two skills allow players to run more complex drills. When players know how to set and bump, they are able to run game-like drills and start playing volleyball back and forth over the net. Follow with serving, blocking, spiking and digging skills, etc. In the bottom of this page you find information how to introduce the basic skills for the beginning volleyball players. How to learn volleyball passing skills? How to learn volleyball setting skills? How to learn volleyball blocking skills? What is important when teaching i.e. passing or hitting skills for the beginning volleyball players? For example outside hitting and right side hitting differ from each other: motor skills needed for outside hitting are different from the right side hitting. If a volleyball player practices only left side hitting, the player doesn't effectively learn the motor skills needed for the right side hitting. Other example: even if top spin serve and float serve techniques look similar, they are still different. If the player has honed the top spin serve to perfection, it doesn't make the player a good float server without working on it. In order to learn a skill, you simply need to get enough repetitions done. When learning basic skills coaches need to make sure players focus on every single contact. This is important and makes a huge difference in the development. When players focus and keep their mind fully in training (cognitive learning), while performing skills (motor learning), it helps players to learn the skills more effectively. How to help volleyball players to stay focused in volleyball drills? The following is important when running volleyball drills in which beginning volleyball players repeat the specific skill one after the other. Beginning volleyball players tend to lose their attention, if they have to perform too many reps in a row. Break the cycle and make sure players i.e. switch positions constantly. Also keep up a fast paced tempo - it helps players to stay alert and sharp through the repetitive drills. Players learn to play volleyball by repeating the skills exactly like in the game. Volleyball drills should always be as game-like as possible. How to Transfer Basic Volleyball Skills into the Game? How to Learn to Play Volleyball? After the basic skills have been introduced, volleyball players are ready to learn how to put the basic skills into the game. In this phase players apply learned basic skills in the drills, which mimic the game as closely as possible. 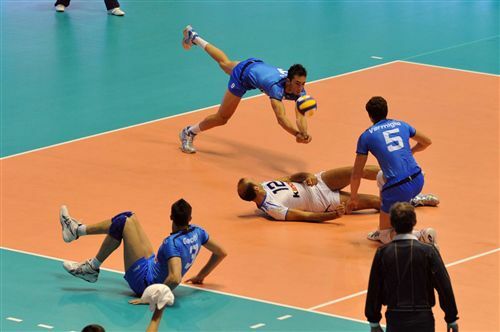 What do we mean by Game-like Volleyball Drills? For example hitting against the block from the setter's set is more game-like than hitting from the coach's toss without a block. "Serve-Pass-Set-Spike-Block-Defense" - sequence as a whole, or some shorter combinations of it should be used in the drills as much as possible. The ball should be flying over the net. Players should learn to use the skills against the opponent. What Is a Game-like Drill? Let's look at this simple set up to practice defense. On the left there is a basic set up to learn to defend line and angle swings. Let's assume the coach has introduced digging and wants them to practice digging techniques in position 1 and 5. What is game-like in this drill? C1 and C2 are often placed on the stand to spike the volleyballs over the net to the defenders. This is a better way to introduce the digging skills than hitting the volleyball to the defenders without the net. How we could make it even more game-like? Adding two setters for hitters C1 and C2. Make hitters approach. Pulling C1 and C2 to play angle defense on position 4, next to position 5. After dig C1 and C2 hit the setter's set over the net. Server serves the volleyball over the net. Add one more person to the back row to pass the volleyball to the setter. This person plays defense in position 6. Letting the rally continue as long as the players keep digging it up. Possibly sending a downball immediately, if defense doesn't get the ball up. If the goal is to practice outside hitting, make a rule that i.e. half of the sets has to go outside. Making it competitive by adding scoring. Challenge 1: Volleyball Skills Aren't Transferring into Your Game? Many of us have experienced how challenging it is to put the learned technical skills into the game, even if we may perform skills correctly in practice. After practicing volleyball serving so much, why sometimes it is difficult to serve floaters or jump serves in the match? Or after practicing bumping tirelessly, why the ball is shanked in the match? It takes quite a long time to learn volleyball technical skills properly. Be patient. Secondly we need to remember that skills needs to be practiced in the game context. If the player seems to be doing fine in practice, but is having a hard time to repeat skills in the game, it is possible that practices have been less game-like. Exposing players to game-like volleyball drills helps them to transfer the skills to the game. After learning the basic volleyball skills, coaches and players need to take skills training to the next level.This next step is to work on techniques in the game-like situation, which mimics the game as much as possible. The solution for the issue is common sense: "the more game-like the drills are in practice, the more easier it is for players to repeat practiced skills in the match." Often volleyball serve is practiced in the end of the practice by splitting the teams and serving from the other side to another. Just like any other volleyball skill, volleyball serving needs to be practiced in the game-like situation! How to Make Volleyball Serving Drills Game-like? There needs to be passers to receive the ball. It is different to place the serve on the court between the passers or away from the passers - than placing a serve on the mat, dots or cones. At the minimum players should always have targets where to place the ball. Players should focus on every single serve, just like in the game. Servers should mimic the game situation. They should have the same routines as in the match. For example they should have a little break between each serve. And they should put their full focus on each serve, just like in the game. Players shouldn't serve one ball after another with a fast tempo, without having a clear focus where to serve. Also there needs to be the same pressure than in the game - an error should cost a point. Make servers compete with the passers. One of the best serving and serve receive drills are "wash drills". Servers and passers should compete against each other with points, just like offense vs. defense or spikers vs. blockers in wash drills. To put even more pressure on servers, we can make the target area smaller for them. Servers need to place the ball in specific areas on the court, just like in the match. Volleyball skills are complex skills, which require great ball handling skills, body and hand eye coordination. For the beginning volleyball players it may feel difficult to coordinate the movement of the arms, legs and torso when i.e. approaching and jumping. It helps players to learn the complex skills correctly when progressing a piece by piece. Players should not be expected to put all the pieces together at once. What do we mean by progressive? The previous example about volleyball serving drills in the game-like situation is an advanced progression of serving. Beginning volleyball players should start serving drills by learning the footwork and learning to toss the ball. Players start from the very basics and progressively move towards more complex drills. 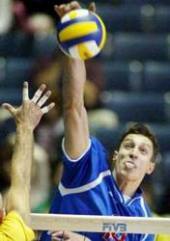 For beginning volleyball players skills training is naturally very simple, but no matter how simple the skill is (i.e. top spin serve or float serve), it helps players to learn the skill properly when progressing a little by little, a piece by piece. When learning to serve the footwork and toss, which is a very important and often ignored part of serving, needs to be introduced first before even trying to hit the ball. The first step is to work on the footwork and tossing part. The coach needs to show clear examples and explain the importance of the location and especially the height of the toss. Players work on putting footwork and toss together, until the toss is consistent enough. When servers are ready to start hitting the ball over the net, they shouldn't start behind the backline from the full distance. It helps beginning volleyball players to serve with a good technique when starting closer to the net. Then a little by little players move backwards toward the backline. The key is to maintain a good effortless technique while moving back toward backline. When learning volleyball skills, beginning players move a step by step towards actual skill, just like in this serving example. We just explained you one corner stone of our skills training, which is "breaking down the drills and skills". The purpose of "breaking down the drills" is to help players to learn volleyball skills properly - and also faster. When you read forward you find more information about it. Learning technical skills can be challenging for beginning volleyball players. It is a well-known fact that young athletes often give up on volleyball since it simply feels difficult. There are ways to keep volleyball training interesting and learn complex techniques without players becoming frustrated about volleyball. We show examples how to learn even the most difficult volleyball skills one piece at the time - by "breaking down the drill". We also present how beginning volleyball players can learn techniques by playing volleyball games. We start from the very basics, beginner volleyball drills and progress into more advanced drills. Especially at the younger age, it is beneficial for the players to play multiple positions and work on all the skills. 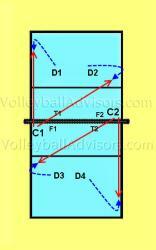 For example the coach should give the middle blocker an opportunity to pass and play defense in the back row. In the match the coach could replace some other player with the libero, not always the middle. Often coaches focus too much on winning right now and do not pay enough attention to the skill development of individuals. Our courteous wish is that coaches would put winning a little bit aside at the younger age. Coaches should be encouraged to let each player develop good all around skills - even if it could possibly cost some games for the team. With better all around skills, players will be prepared to play at the higher level and maybe completely different position for some other coach in the future. We want to pay special attention to the fact that top volleyball players practice fundamental skills also. They absolutely do. Top volleyball coaches put lots of effort to improve techniques of the players. Practicing fundamentals should be progressive and can be progressed much further into details than the basics of setting or passing. At the top level, the skills training looks a whole lot different when comparing to the junior level. You find examples of more complex drills down below in Advanced Volleyball Drills section. When compared to other sports, the skill and technical development plays a very important role in volleyball. In other ball games there are positions you can play even at the professional level without having great ball handling skills, just by being physically gifted. On the volleyball court great technical skills are definitely needed. Without developing great skills, it is impossible to play volleyball at the higher level. The higher level you play, the more important it is to master every single skill. Learning To Play Volleyball - How to Learn Skills More Effectively? Learning to play volleyball requires dedication and perseverance. How can volleyball players learn skills more effectively? And how to make sure players learn skills without becoming extremely frustrated? When players focus and think about the technique they are working on, it helps them to learn the skill effectively. "Thinking" means keeping their mind on the training and being aware of the skill they are working on. Players should NOT need to think how to perform skills. If players are confused and they have to think how to perform the skill, it is a sign that you have to "break it down" more. When players keep the full focus through the skills training, it helps them to visualize the skills. Players start seeing a picture in their mind how the skill should be done. Eventually players learn to correct the errors themselves since they start noticing little mistakes they do on the court. Teaching skills progressively and focusing on one piece at the time helps players to see this picture of the skill in their minds. By progressing one piece at the time, even complex skills will became a natural habit for the players. Athletes who are able to pick up i.e. the coordination and technique for hitting instantly are very rare - most athletes need a different approach. Keep It Simple! Break Down the Drill! To ease up the learning process, it is recommended to keep everything very simple and “break down the technical drill” for players to catch every aspect of it. Practicing skills should be progressive; learning one piece at the time. The best way to describe this "breaking down" is to give an example. 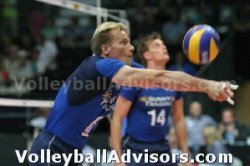 Below there is an example about the volleyball hitting drill - and how to progress from the simple toward more complex drills. Show an example. Repeat several times. Point out important parts; approach steps, arm usage during the approach, lift off, arm usage during the lift off, how to use the body in the air, arm swing, safe landing, etc. Players practice approach steps and connecting the steps with the arms. The player and coach should focus solely on the footwork first, without worrying about other things (yet). When the footwork is learned, the coach moves the focus on the arm usage. Since it may take for a while before players learn to connect the approach steps and arm usage, the players are probably better off not to jump in the air in the very beginning. Next players move the focus on the jump and how to use the arms on the lift off. Teach players how to use the body and the armswing in the air when attacking. Again, put a focus solely on the body first. When it is learned move focus to the arm. i.e. : you may use a tennis ball or softball to teach spiking. 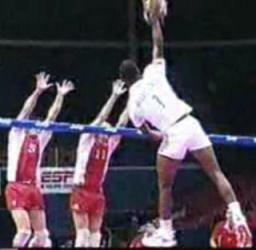 Players approach, jump to the air and throw the ball like they would be spiking the volleyball. Before starting to work with the setters, the players must have learned how to hit a top spin spike. Start practicing the skill with the setter. Focus on timing. Practice the skill in the complex game-like situation by combining various skills together - hitting from the own pass, transition plus attack, etc. There is lots of buzz in the volleyball community about game-like volleyball drills. There are strong opinions that coaches should never run anything else but serve-pass-set-spike-cover-block drills. That is absolutely correct. However, do not make it too complex for the beginners! Notice that the most complex levels i.e. in the previous hitting drill are not for the beginning volleyball players. Only highly skilled players are able to perform the more complex drills effectively. For example, there is no sense to practice hitting by combining it with serving, passing and setting, if a good set rarely reaches the hitter. It could be more beneficial to toss the ball to the setter, so we get more quality repetitions for the hitter. Breaking down skills and drills helps coaches to focus on the aspect they want to work on. Keep it simple!! Explore basic volleyball passing drills - and tips how you can learn proper fundamentals of passing. More volleyball passing drills - and tips to help you organize those drills. Drills to improve your volleyball skills by extending your passing range. Drills to teach overhead serve receive techniques. Learn setting and passing by few simple games. Simple setting drills for beginners. Learn what is "Volleybal Juggling". Simple passing drills for beginners. Learn how to "juggle" with volleyball. How to set up volleyball defensive drills? How to run digging drills? Various defensive techniques. Learn volleyball digging skills. How to set up a volleyball blocking drill? How to practice volleyball blocking skills? These fun drills include exciting team building aspect. These drills teach teamwork and volleyball strategies about team’s offense and defense. Most volleyball teams pepper in practice? Is there a better way to pepper? Examples of fun drills which are enjoyable for the team and help to understand the importance of teamwork. These are advanced offensive drills. How to learn volleyball strategies? How to teach tactical understanding of the game? Learn how setters and hitters can learn to set up the timing. Save practice time by skipping traditional running-stretching warm ups and make practices more fun. Check out how you can play fun games for warm ups and how to warm up for the matches. Special Article by a Leading Expert in the Field. You find it in Sports Psychology Section. Access only by newsletter subscribers on the Friends List. Join the Friends List to get the password. How to improve your offense through volleyball transition drills? Access only by newsletter subscribers on the Friend's List. Join the Friends' List to get the password.